On 9 to 11 December 2013 the leadership of Sudan Liberation Movement/Army, Minni Minawi attended a Technical Workshop in Addis Ababa organized by UNAMID Joint Special Representative / Joint Chief Mediator in partnership with Intergovernmental Authority on Development (IGAD) during which Human Rights, Peace and Security issues were discussed. “ A “child soldier “or “child associated with an armed force or armed group” as: any person under 18 years of age who is part of any kind of regular or irregular armed force or armed group in any capacity, including but not limited to cooks, porters, messengers, and those accompanying such groups, other than purely as family members. It includes Girls recruited for sexual purposes and forced marriage. It does not, therefore, only refer to a child who is carrying or has carried arms.” – Cape Town Principles of 1997 and Paris Principles of 2007. The Leadership of SLM/A MM fully adheres to the international norms and standards protecting children against violations including recruitment and use of child soldiers, sexual violations, abduction, killing and maiming. The Leadership of SLM/A MM fully supports United Nations ongoing advocacy efforts to end the recruitment and use of child soldiers by all parties to the conflict and hereby instructs the following Command Order. 1) All members of SLM/A MM are prohibited from recruitment and use of child soldiers. 2) Field Commanders of SLA are requested to extensively disseminate this Order, to follow up on its full implementation and report regularly to the President of the Movement on compliance. 3) Failure to comply with this Order will be met with stringent disciplinary measures. 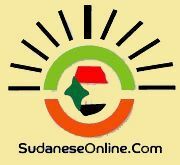 4) Recruitment and use of child soldiers is a serious crime prohibited by international law and the Sudan Child Act of 2010 (Para 44). 5) Issued under my hand on this day being December 17th of the year 2013. CC: UNAMID Joint Special Representative.